We hope you’re looking forward to the long Easter weekend. There will be a few changes to our opening hours over this period:We’ll be closed on Friday 19 April and Monday 22 April. We’ll be re-opening for business as usual on Tuesday 23 April. Kestrel is our new online business manager that’s the perfect tool for window, door and conservatory installation companies. It’s been specially designed by our Windowlink software experts with help from many of our Focus and Vector users to help you manage leads, workloads and customer relationships. Here’s our list of some of the top tools in Kestrel and how they help make your life easier. Kestrel helps you to manage your leads, and make sure that the correct sales process is followed for every lead. It means that every customer gets the same great service from your company, no matter who gets in touch with them. 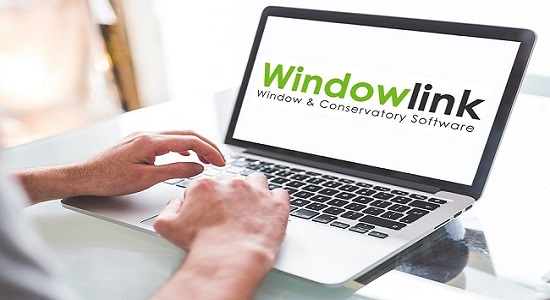 Kestrel is fully linked to Windowlink Focus & Vector window and conservatory sales software, so you can import leads and jobs direct. It means there’s no doubling up on data entry, so there’s a smoother process from quoting jobs to booking in an installation date. The Kestrel system is browser-based and mobile-friendly, so you can have full access, anywhere, anytime, as long as you have an internet connection. It means it’s great for sales teams out on the road and remote workers as well as office and showroom staff. We’ve all had those days where we forget to call someone who was expecting us to get in touch. Kestrel makes sure that can’t happen. The integrated CRM helps you to manage customer relationships, make notes and schedule follow-up calls that are then pulled through to your to-do list when you log-in to Kestrel. You’ll never lose a phone number, email address or message again! Keeping diaries in sync can be a minefield, especially when you factor in annual leave or training days. The Kestrel scheduler has two functions. It can be used like a normal diary – great for team members who have multiple appointments in a day. It’s also designed to work as a resource scheduler – in effect, your online ‘T’ card or whiteboard, so you can see where the whole team is on any day. This Team Manager tool makes booking installations and survey visits a much smoother job for everyone. Your Kestrel Dashboard can be personalised so it shows the information that’s more important to you. If you’re a sales manager, you might choose to have the business analytics. Or if you’re out on the road selling, your call list will probably be the most important thing for you. With Kestrel, it’s all there on your dashboard, ready to go. Another great tool is the task menu. It’s basically your personalised to-do list so that you never miss a call, an appointment or a deadline. It’s the first thing you see when you log-in to Kestrel, making it the perfect programme for keeping you and your team on track. The tasks function can be set-up to follow your internal processes, so once the first job is ticked off, it will trigger the next step in the process. There are also critical stage reminders to help you keep on top of projects. It’s a fantastic project management tool and helps your team work more collaboratively together. As a director, the reporting tool will be your best friend. It’s a full job reporting suite that helps you to monitor sales, costs and margins as well as identifying product and consumer trends. It’s real-time, job-by-job, cost-analysis so that you can find way to run your business more effectively and efficiently. Kestrel is the flexible online business manager, so you can choose what’s most important to you and your business. Drawings (.wcd files) can now be opened by double-clicking on them in Windows Explorer (subject to the correct Windows file association being created). NOTE : This only works for ‘Document Set Type = FileSystem’. Finance agreements – Programs can now calculate monthly PMT – calculates the payment for a loan based on constant payments and a constant interest rate. Glazing end-closer rules for conservatory modules re-instated. Timber vertical sliders can now be constructed using mullions that ‘break-through the outer frame. Full height glass panels can be inserted into both solid and profile solid roofs. The conservatory market has evolved a lot over the years and the trend towards solid roofs is the most exciting development yet for many installers. Fitting a new solid roof on to an existing conservatory gives installers the opportunity to turn around a project more quickly without employing several sub-contract trades. For new build, choosing a solid rood system to create a glazed extension with sliding patio or bi-fold doors reduces the number of trades required and is usually faster than a traditional build. Reducing labour time is the key to increasing the profit from fitting solid roof replacements or building glazed extensions. Good design and agreeing the details with the customer before you start will make the whole job go smoother and prevent costly delays. Windowlink Vector Solid Roof design module is a great way to show your customer how the finished solid roof conservatory or extension will look, whilst helping you to create the simplest roof design for the project. Vector Solid Roof module can be added to both the Conservatory and Orangery designers. It clearly represents traditional tiled or slated roofs and shows the various solutions marketed by roofing companies. These include Ultraframe’s realROOFTMand the Guardian RoofTM. You can also cost the project by the integrating Vector Solid Roof module with the intelligent pricing modules. Ask us about adding Vector Solid Roof to your existing Conservatory or Orangery package.